Major Darling has found forgotten dreams and adventures from a future long past and brought them together in The Orphanage for Lost Adventures. Now abandoned and forgotten they once gave exciting glimpses of a bright future full of adventure and technical wonder, a time in which nothing seemed impossible. Each object tells his own story and invites you to step inside a forgotten world from an industrial Victorian era, in which Darling’s love for everything with rivets in it, is inextricably linked to perfectionist enthusiasm. You wouldn’t tell, but everything is made out of paper and cardboard. 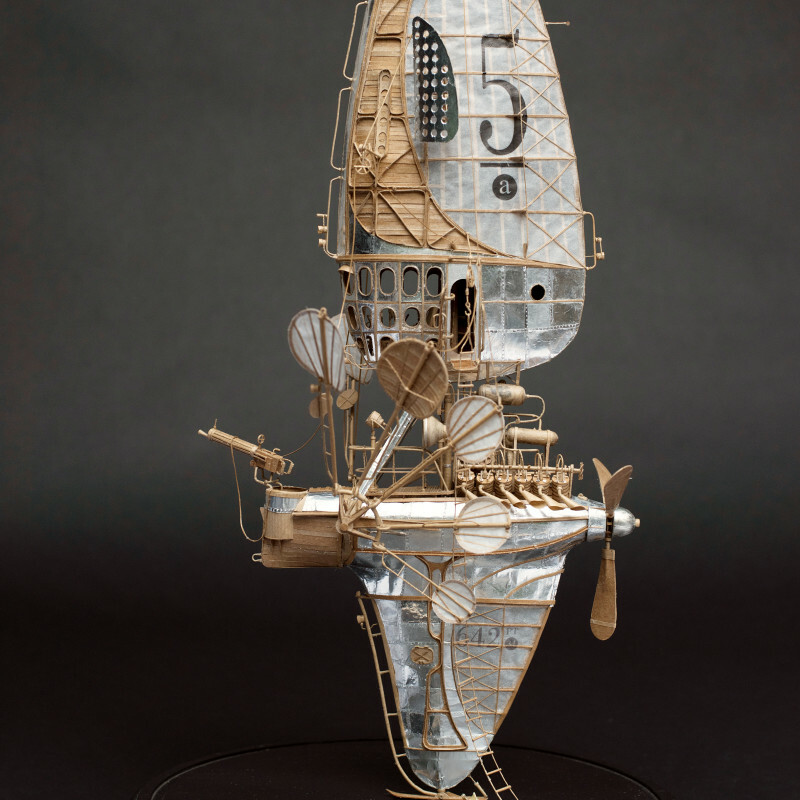 the delicate material transforms to robust wing fins, steam engines and skin plates. “Each object in The Orphanage was once thought to work in real life”, says Darling. So mechanics must be correct in these machines and contraptions. Including the keel of the airship to let it steer tighter into the wind. He immediately puts his ideas into practice. No complicated preliminary studies, no technical drawings. this results in free-flow perfection and quiet beauty.